Laser eye surgery has only been with us for about twenty-five years. Dr. Sheldon Herzig, Medical director at the Herzig Eye Institute, has been operating on eyes for thirty-seven. 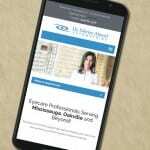 But he’s quick to point out there while Lasik is a fit for many patients, there are often better treatments and options depending on a person’s specific needs. 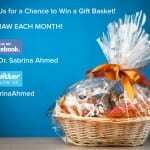 Follow Us for a Chance to Win! Stay updated with latest news from Medical Press.